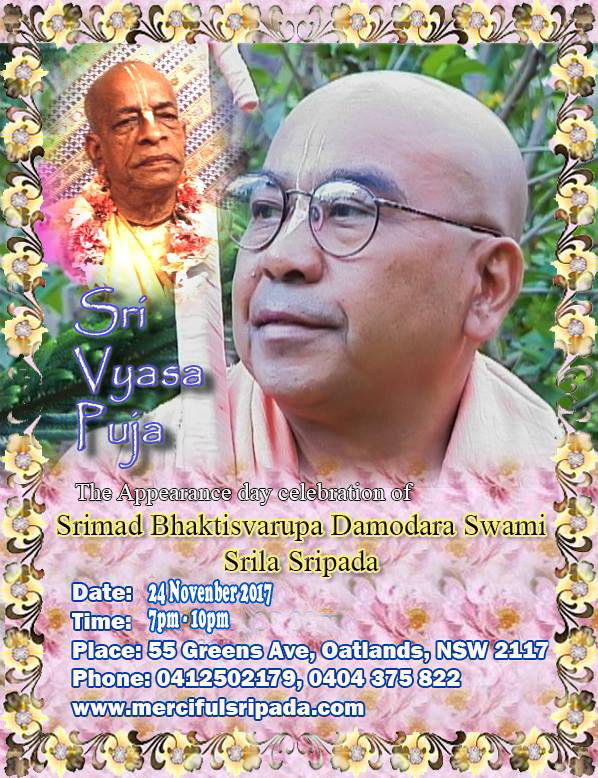 We cordially invite you to participate the auspicious appearance day The Vyasa Puja celebration of Srimad Bhaktisvarupa Damodara Swami Srila Sripada. There will be Kirtans, Bhajans, Glorifications, Offerings and feasting. Please forward the message to all your friends. Thank you.